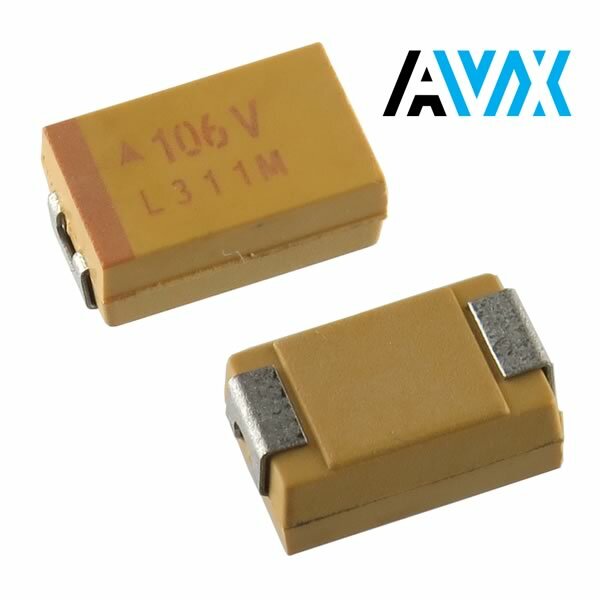 AVX TAJ Series 10uF 35V SMD chip tantalum capacitor with 20% tolerance. EIA case 2917 measures 7.3mm (0.287") long x 4.30mm (0.169") wide x 2.90mm (0.114") tall. Part# TAJD10M035RBL. On tape and reel. Sold in a package of 5.